A hundred years ago Henry Heathcote Statham (1839-1924) and his wife, Florence Dicken Statham (1856-1938), sent this New Year’s card to their friends and family. 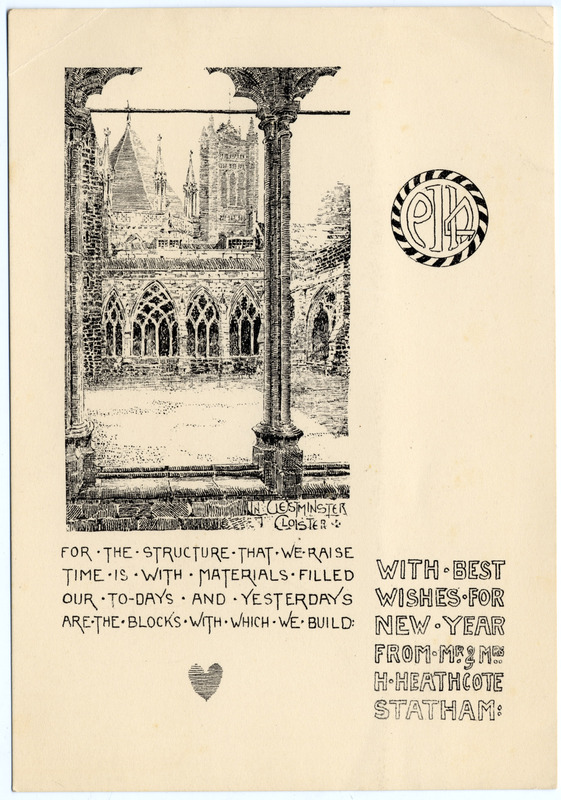 The Dicken-Statham Family Papers have recently come to us, and so we share their New Year’s greeting with our readers. We’ve been spending lots of time these last few weeks oohing and aahing over an unusual new collection – so I thought I’d share it with you! These tiny books, magazines and newspapers were created by the brothers Elmer, Arthur and Walter Nelson in the early 1890s, when the boys ranged in age from 10 to 20 and lived on a farm in Goshen, New Hampshire with their parents and much younger brother. A few of the items seem related to their real identities (the gorgeous Nelson Bros. Seed Catalog, for instance) but the majority of them compose a literary corpus for an imaginary world created by the brothers. 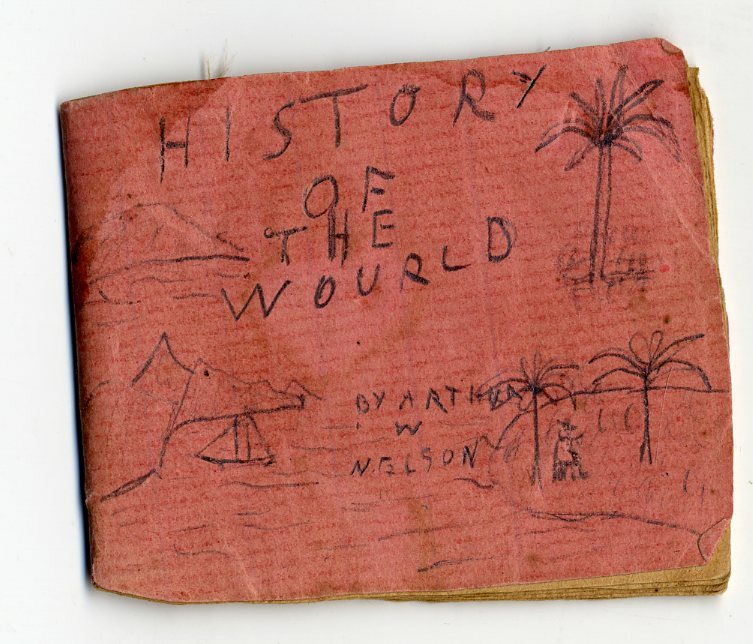 They wrote and illustrated geographies, histories, biographies, novels, magazines, newspapers, even a bank deposit book. 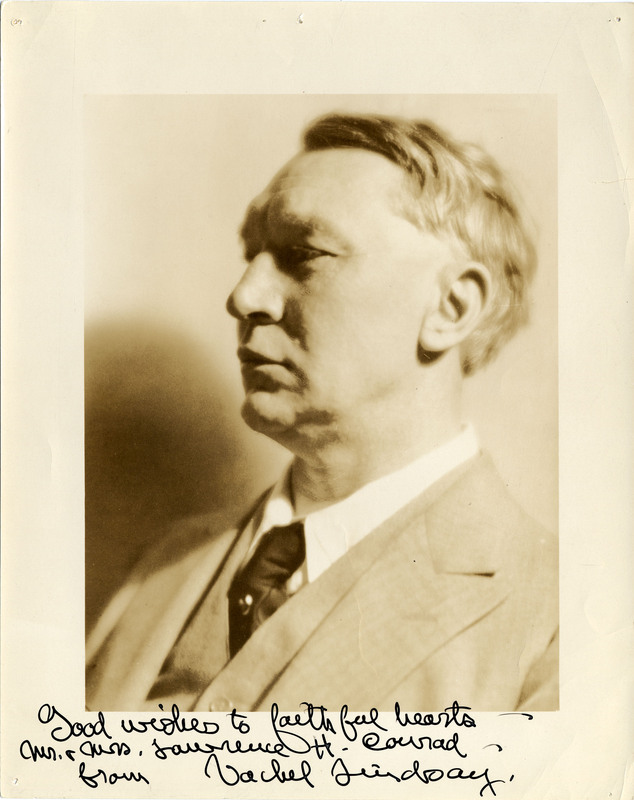 Signed photographic portrait of Vachel Lindsay, from the Lawrence H. Conrad Vachel Lindsay and Robert Frost Collection. Amherst College recently received the donation of a small, fascinating collection of correspondence and other materials related to Robert Frost and the now lesser-known poet (Nicholas) Vachel Lindsay. Vachel Lindsay styled himself as a twentieth-century troubadour. He traveled around the Midwest performing his poetry, which he chanted or sang, sometimes in costume. Few recordings of Lindsay exist, but there are several short clips online at the PennSound project. Lindsay originally trained as a visual artist, and often sold or traded illustrated pamphlets of his poetry in exchange for food and lodging. This collection of material belonged to Lawrence H. Conrad, and was donated to Amherst by Conrad’s granddaughter, Angela Conrad. Lawrence Conrad was an undergraduate at the University of Michigan, Ann Arbor, when Robert Frost held the position of poet-in-residence at the University. During the same time period, Lindsay gave a reading at the University. Conrad served as an assistant to the poets and helped with their arrangements while in Michigan. In a May 9, 1928 letter from Conrad to Lindsay, he writes, “You probably remember that I was a sort of pet of Robert Frost when he was here [at the University of Michigan].” Conrad later became president of the Michigan Author’s Association and arranged further Michigan appearances for Frost and Lindsay. Conrad corresponded with both men and appears to have become a personal friend of both, who were also friends with each other. He continued corresponding with Lindsay’s widow, Elizabeth Connor Lindsay after Vachel Lindsay committed suicide in 1931. So, who was Jeffery Amherst? Peterson, Roger Tory, and Virginia Marie Peterson. The Audubon Society Baby Elephant Folio: Audubon’s Birds of America. London: Heinemann, 1981. 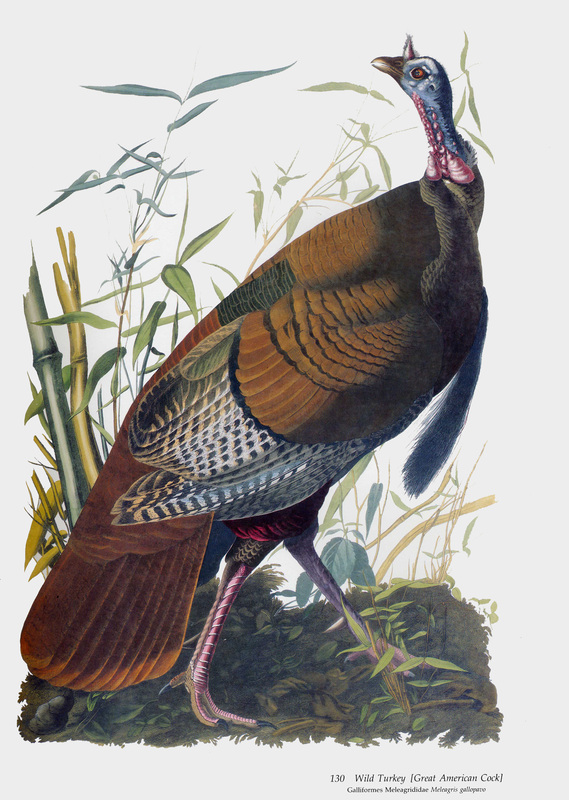 The Amherst College Archives and Special Collections has an extensive ornithology rare books collection, containing many images of turkeys! You can see a full listing of volumes from the Richard L. Soffer (Class of 1954) Ornithology Collection. We also have an Audubon Double Elephant Folio on display in the Archives foyer. Come check it out!